DEAR JERRY: Been wracking my brain to come up with the top-rated R&B and C&W artists who never once appeared on any of the Pop/Rock charts. It seems like every big name I come up with had something cross over, even far-fetched as Hank Williams (“Jambalaya”) and Lonnie Johnson (“Tomorrow Night”). Who are your choices for this interesting title? —Cary LaSalle, Terre Haute, Ind. DEAR CARY: First let's name this dubious honor. How about C.C. (Crossover Challenged)? Over its life (1959-1985), this addendum listed from a few to a few dozen selections, about 58% of which graduated to the Hot 100. If we do not count those bubblers, then Mel Tillis is the C&W winner of the C.C. crown. If we do, then we skip over Mel and the answer is Earl Thomas Conley. The same goes for the R&B genre. Omit those whose highest position came while Bubbling Under and Phyllis Hyman is the pick. Among R&B non-bubblers, Sonny Thompson is most Crossover Challenged. DEAR JERRY: Because my favorite music decade is the 1960s, I was disappointed to read a blog that says hardly any of the top superstars won a Grammy in the '60s. Non-winners include the Rolling Stones; Beach Boys; 4 Seasons; Supremes; Connie Francis; Roy Orbison; Brenda Lee; and many others. If not the giants in the field at the time, then why? DEAR MARTHA: Grammys in those days mostly went to folks who neither rocked nor rolled. Despite the immeasurable impact of the British Invasion and the rise of Motown in the '60s, very rarely did an artist from these genres win in any of the key categories, especially Best Rock & Roll Recording. For 1964, instead of the Beatles' “I Want to Hold Your Hand,” the No. 1 record of the year, Petula Clark's ”Downtown“ took the Grammy for Best Rock & Roll Recording. These are great recordings by Petula and Nancy, but neither is considered R&R or R&B by anyone I know. 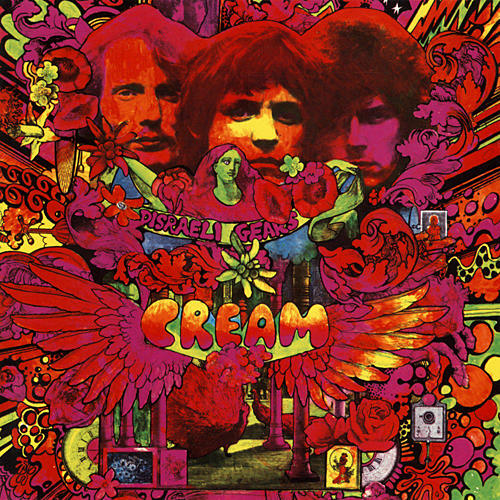 The Best Contemporary (Rock & Roll) single of 1965 was another no-brainer. It should have been “(I Can't Get No) Satisfaction” (Rolling Stones), the No. 1 hit of that year AND the entire decade. Grammy voters instead chose Roger Miller's “King of the Road,” an excellent country ballad that ranks zero on a rock and roll scale of 100. Proving that two wrongs rarely make a right, “King of the Road,” also won for Best Rock & Roll Male Vocal Performance. My pick would have been “Like a Rolling Stone” (Bob Dylan). Mysteriously, “King of the Road” also won in identical categories for C&W. If you're asking how it can possibly be both, you are not alone. 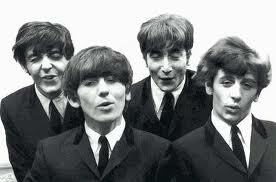 As for Best Rock & Roll Vocal Group of 1965, how could it not be the Beatles? Even the Rolling Stones; Beach Boys; 4 Seasons; or Supremes would have been acceptable. Incredulously, the Best Contemporary (Rock & Roll) Group for '65 turned out to be the Statler Brothers, a country music quartet with only one Top 100 hit for the entire decade (“Flowers on the Wall”). Oh yes, the Grammy for Best Rock & Roll Recording of 1962 went to Bent Fabric's piano instrumental, “Alley Cat.” No recognition is even made of the umpteen-million-selling hit that defined '62, as well as the first third of the decade: “The Twist” by Chubby Checker. I know it was the '60s, but what were these people smoking? IZ ZAT SO? Roger Miller established an impressive record for his records in 1964 and '65. Triple Crown is releasing a Limited Edition box set, contains 16 page booklet, digital download card of the complete collection and Nine 10″ colored vinyls. 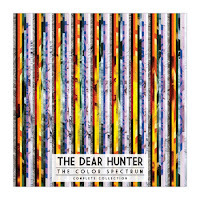 Each vinyl will be colored to match the restrospective EPs in the collection. 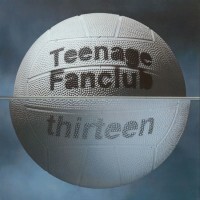 Teenage Fanclub – Thirteen Vinyl! Phoebe Snow received wide acclaim for her self-titled album, which showed off her multi-octave range and musical versatility. She had suffered a brain hemorrhage in January 2010. Phoebe Snow, a singer and songwriter who gained fame with her 1974 self-titled album that featured the hit single "Poetry Man," has died. She was 60. Snow died Tuesday in Edison, N.J., said Rick Miramontez, her longtime friend and public relations representative. She had suffered a brain hemorrhage in January 2010. He was speaking to Rock It Out, where he also talked about the chemistry with their newer guitarist Josh Klinghoffer, who replace John Frusciante in 2010. One of the most overlooked consequences of the current digitialization of music is its effects on the artform that is the album cover. Once upon a time, if you wanted to buy an album, you would meander into your local record store and browse through the album sections, and lo! and behold! you were mesmorized by amazing cover art as large as your head. Today? Click, download, and that’s it. Of course, if you’re fortunate, the album art might take up a square inch of your iPod screen. In honor of this lost art, we had compiled a list of our 30 favorite album covers of all time. 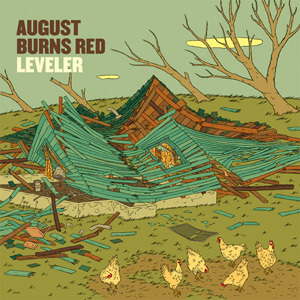 Lancaster, Pennsylvania-based Christian metalcore quintet AUGUST BURNS RED will release its fourth album, "Leveler", on June 21 via Sollid State Records. 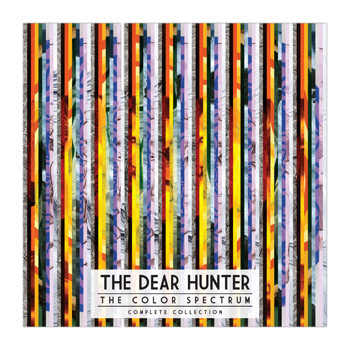 The effort will be available in both regular and deluxe editions —a first for the band. NEWBURYPORT — In the 35 years that Richard Osborne has run Dyno Records, he has witnessed the arrival of cassettes, CDs, discount chains and (free) music swapping. The Middle Street store has prevailed over many forces, and it appears that the persistent Osborne is going to keep the doors open until the Fat Lady sings. "New ways of acquiring songs has hurt the business in recent years," said the soft-spoken Osborne, "and locally, the poor economy has also affected sales at stores like mine. "But we still have people who really love music, and we've been successful at selling vinyl albums again and also second-hand records. There are some bright spots." One can forgive Sir George Martin for not doing too much press these days. The former Beatles producer and Rock and Roll Hall of Famer, who turned 85 earlier this year, has not produced an album since 2006’s Beatles mash-up, Love, for Cirque du Soleil. Beyond that, he’s answered every conceivable question about his former colleagues one could ask. But with a new documentary set to air on the BBC, Martin sat down with The Independent to talk about his career, and yes, in particular, those magical days with the Fab Four. “I wasn’t music at all. It was comedy,” Martin said of the quality that first drew him to the group at their first audition in 1962. In 1963, Little Peggy March started a three-week run at #1 on the U.S. singles chart with “I Will Follow Him.” At 15 years, one month and 13 days old, Little Peggy March became the youngest female singer to have a U.S. #1. John Lennon's "In His Own Write", a collection of funny poems and drawings, was published in the U.S in 1964. Simon & Garfunkel's "Mrs. Robinson" was released in 1968. In 1969, Joe Cocker makes his American debut on the Ed Sullivan Show before embarking on a tour. In 1971, the Grateful Dead appeared at The Fillmore East in New York City. The Beach Boys also appeared on stage with the Dead, who together performed a short set of Beach Boys songs. In 1974, Ray Stevens released what would be his biggest hit, "The Streak". The novelty tune would make it to the top of the US charts next month. and a fad was born! In 1980, three years and a day after opening its doors, New York's legendary Studio 54 was closed for liquor license violations. Several months earlier, owners Steve Rubell and Ian Schrager were jailed for tax evasion. The club would reopened under new management in 1981. In 1985, USA For Africa started a three-week run at #1 on the U.S. chart with “We Are The World.” The U.S. answer to Band Aid featured an all-star cast including Stevie Wonder, Tina Turner, Bruce Springsteen, Diana Ross, Bob Dylan, Daryl Hall, Huey Lewis, Cyndi Lauper, Kim Carnes, Ray Charles, Billy Joel and Paul Simon plus the song’s composers, Michael Jackson and Lionel Richie. And in 2006 - the now famous fall out a tree incident - In Fiji, Keith Richards (Rolling Stones) was admitted to a hospital after he reportedly suffered a head injury when he fell out of a palm tree. PRNewswire -- Starting this fall (exact date TBA), EMI Music will honor the legacy of THE SMASHING PUMPKINS with an extensive campaign that will see the iconic band's albums from 1991-2000 reissued in fully remastered deluxe versions, each with bonus material. With the full support and guidance from THE SMASHING PUMPKINS--who've created one of the most acclaimed bodies of work in musical history, selling over 30 million albums--EMI will roll out the global catalog campaign with the band's 1991 debut album GISH, 1993's SIAMESE DREAM and the 1994 compilation album PISCES ISCARIOT. The excitement will continue into 2012 when EMI will reissue 1995's nine-times-platinum double album MELLON COLLIE AND THE INFINITE SADNESS, 1996's five-disc box set THE AEROPLANE FLIES HIGH and 1998's ADORE. In 2013, their 2000 albums MACHINA/THE MACHINES OF GOD and MACHINA II: THE FRIENDS & ENEMIES OF MODERN MUSIC will be unified into one package. A best-of compilation will also be released in 2013. The pivotal group's many hits defined the alternative music era and continue to resonate on modern rock radio, influencing a whole new generation. This news comes as THE SMASHING PUMPKINS have announced they will head into the studio in May to record OCEANIA--"an album within an album"--as part of their in-progress 44-song work TEARGARDEN BY KALEIDYSCOPE, nine songs of which have already been released online for free (with two elaborately packaged EPs available in stores). The 10 new songs from OCEANIA will be released online at once in September (exact details TBA). The band is also eyeing a possible return to the road this August. Meanwhile, THE SMASHING PUMPKINS will release one more song ("Owata") next week (details TBA) from TEARGARDEN BY KALEIDYSCOPE before they take a break to record OCEANIA. BILLY CORGAN, vocalist, lead guitarist and songwriter for THE SMASHING PUMPKINS, is excited by the partnership with EMI and how this will result in the release of Pumpkins material that's in the vaults. "What makes the deal with EMI groundbreaking is the band has secured the right to all unreleased materials and will be in charge of any additional releases based on our discretion," says BILLY CORGAN, who founded the band in Chicago in 1988. "In essence, the band has the keys to the warehouse and can release whatever we want, when we want it. EMI totally supports this right, and they are our partners in it." Colin Finkelstein, COO of EMI Music North America, said, "THE SMASHING PUMPKINS is a hugely influential and groundbreaking band, and EMI Music is pleased to partner with them for this global catalog initiative. We're excited to work with Billy Corgan to release remastered and expanded editions of the band's visionary albums, including previously unreleased recordings, and for EMI Music to exclusively distribute other gems from THE SMASHING PUMPKINS vaults, as sourced by Billy." The Smashing Pumpkins have created one of the most acclaimed bodies of work in musical history and sold over 30 million albums. Formed in Chicago in 1988, they released Gish, their influential (and platinum) debut in 1991, which was followed by more platinum and multi-platinum albums including the nine-time platinum Mellon Collie And The Infinite Sadness and the four-time platinum Siamese Dream as well as the platinum certified 1998 album Adore. The pivotal group's many hits defined the alternative music era and continue to resonate on modern rock radio, influencing a whole new generation. The Pumpkins returned in 2007 with their gold-certified and acclaimed sixth album Zeitgeist, which entered the charts at Number 2 in the U.S. and in the Top Ten internationally. Since their triumphant return to the stage in 2007, the Pumpkins have headlined some of the biggest events around the globe including the Reading Festival, Rock Am Ring, and the V fest. In 2008, the band was inducted into Hollywood's RockWalk. Their first post-major label release was the song "Superchrist," issued via the Guitar Center CD Fresh Cuts Vol. 2. They subsequently recorded the song--the modern rock hit--"G.L.O.W." for the Guitar Hero® World Tour game, marking the first time a band has recorded a new song exclusively for the franchise. In November 2008, the band released their first live DVD, If All Goes Wrong. In December 2009 The Smashing Pumpkins began releasing Teargarden By Kaleidyscope, a 44-song work with songs being released online one at a time for free (4-song physical EPs will be made available as the songs are released, such as the first one: Teargarden by Kaleidyscope Vol 1: Songs For A Sailor, issued May 25, 2010 thru Martha's Music/Rocket Science Ventures). This was followed by a second EP--Teargarden By Kaleidyscope Vol. II: "The Solstice Bare"--released November 23, 2010 via Martha's Music/Rocket Science Ventures. The group's BILLY CORGAN has said the new music "harkens back to the original psychedelic roots of The Smashing Pumpkins; atmospheric, melodic, heavy, and pretty."